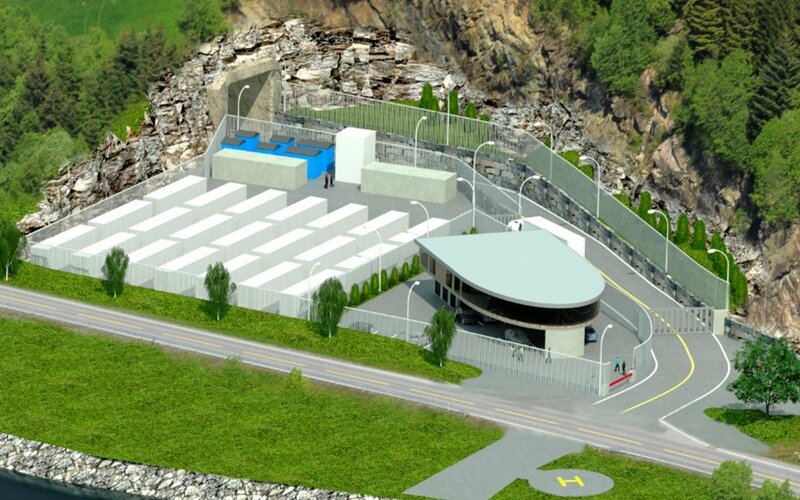 A new data center with 75 underground halls is set to open in Måløy Norway in August 2016 – with owners Lefdal claiming it will be the biggest in Europe. Update: The facility is now open, and we went to Norway to check it out - here are our thoughts. The Lefdal Mine Datacenter is being built in the site of an old mineral excavation in the Sogn og Fjordane region between the west Norwegian ports of Måløy and Nordfjordeid. Once fully built it could potentially offer 120,00 square meters (1.3m sq ft) of space, much of it provided in containers shipped by Rittal. Like its Norwegian neighbor, the Green Mountain facility at Stavanger, the Lefdal facility is built into a mountain, and situated within 100 meters of a deep fjord. This will give the facility access to free sea-water cooling systems and CO2-neutral energy sources from a variety of local hydroelectric generators. 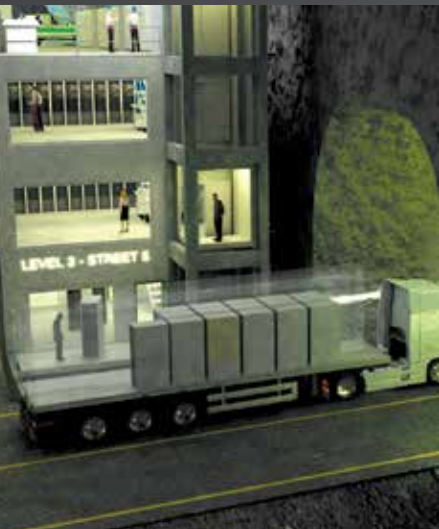 Lefdal Mine will largely consist of containers parked in underground “streets” (former mine workings). The containers will be stacked up to three deep on each side of the street, and delivered through under ground roads that can accommodate an articulated truck. There will also be three floors of traditional data center space, where more usual racks and cabinets can be installed. Both of these areas will connect to the same sea-water cooling and power distribution systems, as well as fiber connectivity from multiple operators. The port of Måløy has good road network and shipping links, with access to fiber networks and two local airports. With its home in a heavily industrialized area, the facility will have good comms, logistics and technical skill bases, said Lefdal chairman Egil Skibenes. The chambers of the data center will be connected by the facility’s own underground road network. Each of the six levels of the old mine site will be connected by a central access road providing direct access to vacant chambers. IBM was the project’s first partner, and will move in when the facility goes live, offering resiliency and backup services to its customers, according to Lefdal. There is also a strong partnership with Rittal, whose data center containers are very much in evidence in the site’s photos and diagrams. Rittal’s parent, the Germany-based Freidhelm Loh Group, has signed a lease agreement, and Rittal will supply containers and infrastructure for the white space areas. A fully customized container can be fitted-out, shipped to Lefdal, hooked up and brought online in six to eight weeks, Lefdal’s marketing director Mats Andersson told DatacenterDynamics. Given that containers are a standard shape, Andersson said that customers wanting to work with other container vendors could do so, though everyone in the underground streets has to take the infrastructure, which will be Tier III certified, including power and cooling. The economies of scale, security and access to natural cooling and hydroelectric power will be major assets to European clients, said Skibenes. Building out a data center into a previously excavated site has saved between 30 and 60 per cent of the costs of a typical Tier III data center construction, he said. Apart from IBM and Friedhelm Loh, there are no other clients announced as yet. According to Lefdal marketing director Mats Andersson, the company will launch a series of channel and customer initiatives in the UK in autumn.